One of the first great cross-over hits of all time was Otis Redding’s (Sittin’ On) The Dock Of The Bay. “Jessica” is a song written and performed by the Allman brothers band in the early 1970s. This was a Dickey Betts song. The song You’ve Lost That Lovin’ Feeling was popular when I was a boy in the late 1960s. Maybe it’s just me – of course it is – but eve trying to generalize – the song sounds oddly betray the lyrics. What does that even mean? To me , it means that the male singer who realizes the object of his affection has left him physically andn by inclusion spiritual loyalty, usually sings the vey sad ballad. By contrast, the Righteous Brothers (I’m not sure which brother lost the girl here, or whether it’s a story written of their truth – I am taking the *plain meaning* of the lyrics*. To me, a song like this comes after you have gotten over your object of love infatuation, you have moved on, and are happy about it. The song itself as instrumentally and by composition in my personal listening, and I’d love to hear from others on this, plays as enthusiatically ready, whereas the words on a page a poem are more sad, all of which adds up to an *unforgettable song*. Feel free to use the chart however ya choose. Except being mean. I think a chart thta ws made in the 1990s won me serious concern with the maps of sacred songs. I’ve considered putting a warning on the page about hat – but no readerhas ever comented about it, so I’ve stayed the same. 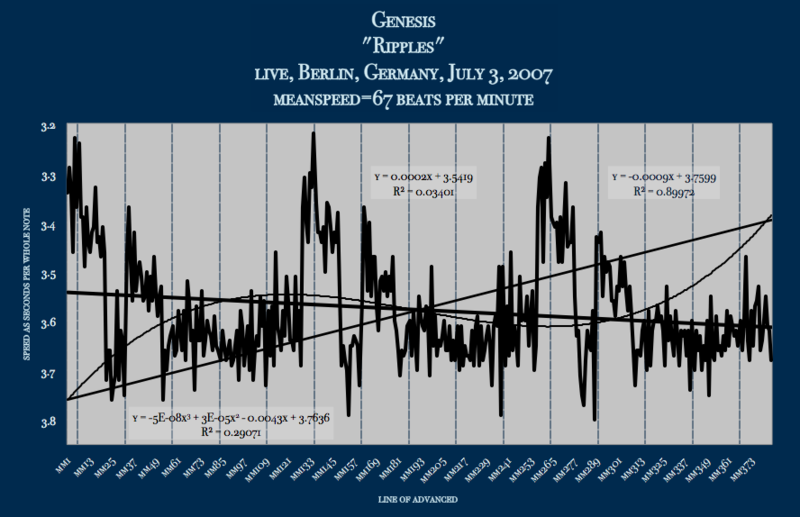 The song as represented in speed as tempo in “beats per minute” are represented by the red sections of the circle. The 360 degrees of the circle embodies the whole song. It is what is is – very simple and “single variance” oriented: I’m only measuring tempo, one of trillions of elemets of music.